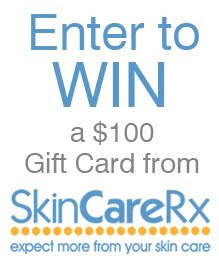 My favorite beauty blog (other then this blog of course) has teamed up with Skin Care RX to host a $100 Gift Card Giveaway to their online-shop. Why is this so amazing? Well, i'm glad you asked. Skin Care RX carries not only top name brand Skin care brand, but my personal favorite Obagi. Obagi Skin Care specializes in getting rid of small blemishes on your face, or freckles, sun spots, etc. All the things your skin starts to get as you age. But even if you your not an Obagi fan, Skin Care RX has tons of different product lines for every person! Head on over to the Beauty Counter to enter, hurry up, contest ends 4/1. I just turned 41 and it would be great to find products that work for thinning skin around my eyes.